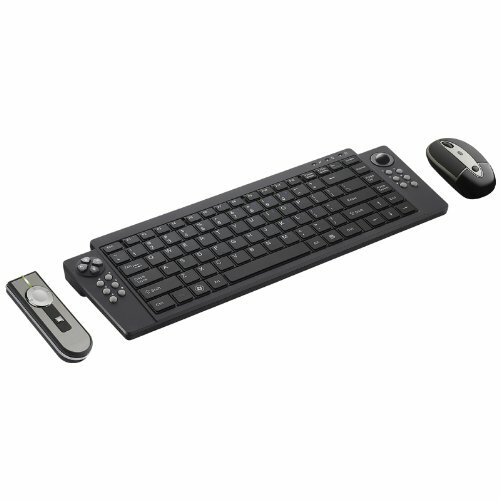 The Remote Point Wireless Presentation Desktop Suite pairs a rechargeable media keyboard, rechargeable desktop mouse and a presentation remote control with green laser pointer. With its 100-Feet wireless range, the Presentation Suite is ideal for meeting rooms, lecture halls, churches and public speaking venues. 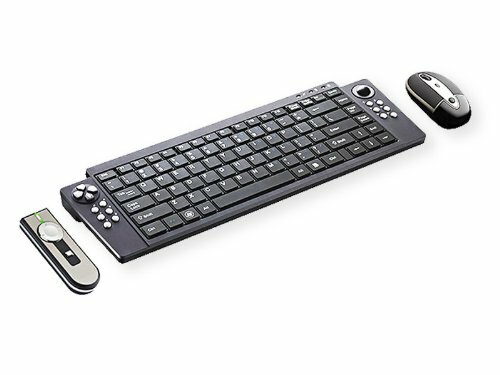 The wireless Media Keyboard, with integrated trackball, mouse buttons and 12 media hot keys, is ideal for control of video, audio and Internet streaming media. The paired desktop mouse, with laser tracking technology, operates on almost any surface; while the included presentation remote provides effortless control of PowerPoint presentations. All devices share a common USB receiver dongle.